College is all about excess. Excess food, booze, sleep, video games, showerless days, and of course Boozecats. 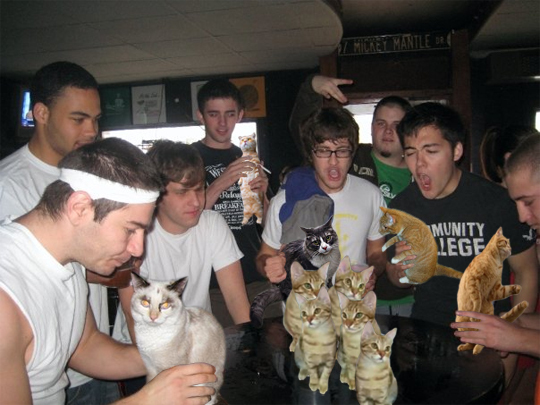 These college students are doing it proper with a table full of Boozecats. Live it up while you can boys!